What You Talkin' About, Wallace? Danny Wallace faces the absurdities, trivialities and challenges of being a man every day. It's not for everyone. Half the world don't have to. Join him – and a host of his famous friends - for a series of observational, comedic and insightful conversations that get to the heart of what it really takes to be a modern day man. Guest starring Laura Prepon (Orange Is The New Black), Tony Hale (Arrested Development, Veep), James Buckley (The Inbetweeners) and Rhys Darby (Flight Of The Conchords, Yes Man) amongst others. 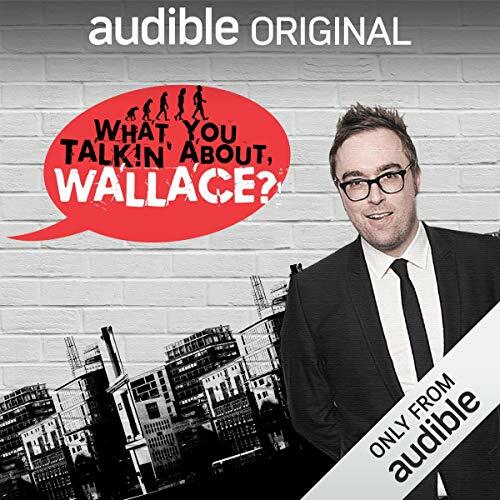 As an Audio Show - free for members - when you add What You Talkin' About, Wallace? to your library, you'll get all 10 episodes, each with a runtime of about 30 minutes. ©2017 Audible, Ltd. (P)2017 Audible, Ltd.